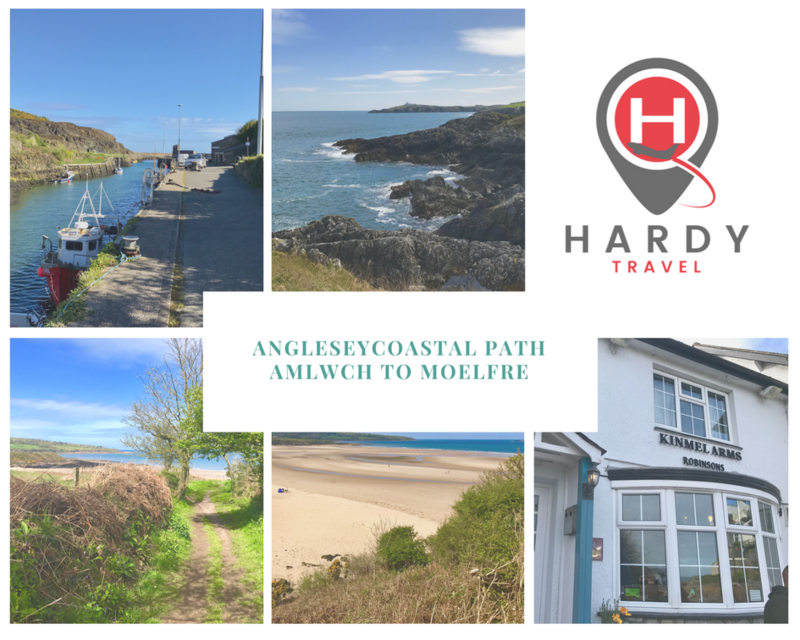 Perhaps one of my favourite sections of the Anglesey Coastal Path is the section from Amlwch to Moelfre. We parked our car in the free car park in Moelfre which is about 20m away from the bus stop where we would take the no 62 Arriva bus to Amlwch. The bus takes about 20 minutes before arriving at the Co-op bus stop in Amlwch. Take Lon Goch road from the Co-op leading to Machine Street and when it meets the main road turn right towards Almwch Port. When you meet the main square there is a car park and a small cafe / kiosk which serves a good coffee and bacon roll, follow the signs along the port side. The path follows the old port and up onto the headland where the path is undulating and hugs the coastline. Do look out for the Holy Well about 1km along the walk. You won’t miss it as it’s well signposted and if you have the right place there is a bridge crossing the stream from the well. Around the headland you turn southwards heading for Dulas Bay, but on the way look out for the Tower on a rocky out crop in the sea, as you enter the start of the Bay. It’s called Yyns Dulas and the Tower on it was built I am lead to believe to store food and give shelter to the sailors who were shipwrecked here. Unfortunately you have to leave the shoreline and travel inland as there is no permission to cross the Llysdulas Estate, which is a shame. 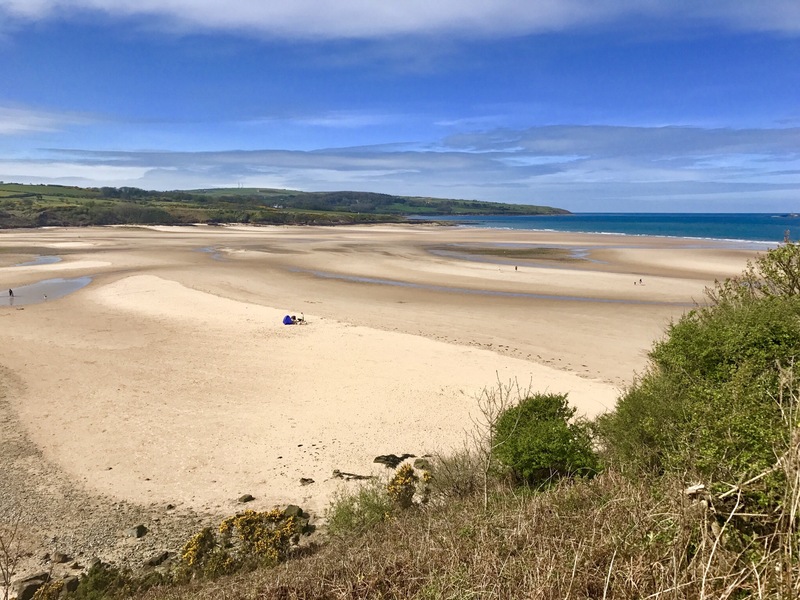 Aftercrossing Dulas Bay you walk up beside the Pilot Inn onto the headland and down into one of my favourite beaches in Anglesey, Treath Ora followed shortly by another one Traeth Lligway. 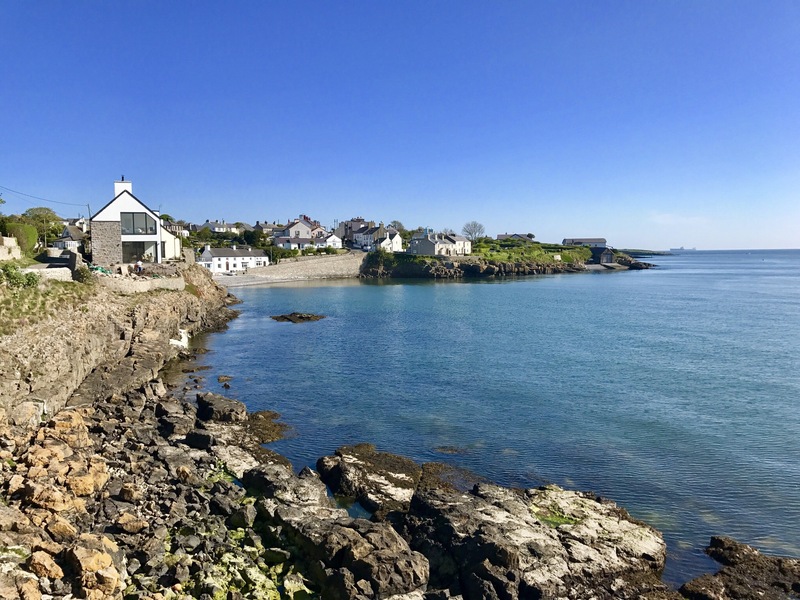 A lovely, lovely walk in beautiful Anglesey.